Just a short note or message and we will get back to you for the details. We regret that this program doesn't allow that function. It does, however, give us an opportunity to serve your needs on a more personal level. Shop Original Recipe Prints here! 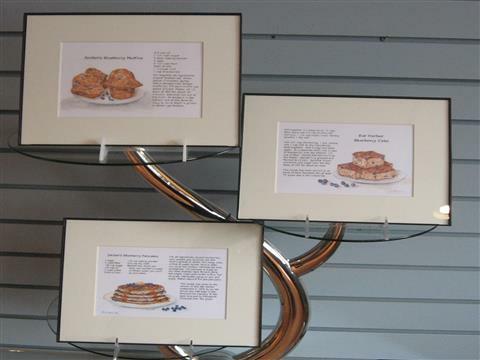 Enjoy a slice of local color with these prints of original water colors by Maine artist Brenda Erikson. 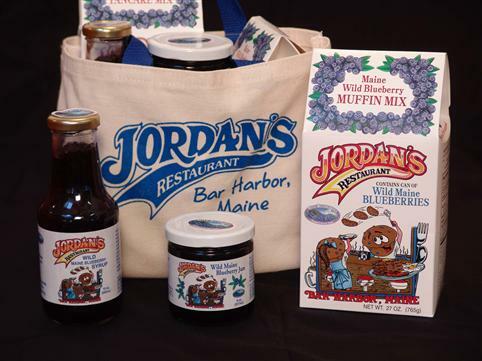 Pairing them with recipes used in Jordan's Restaurant makes a truly unique gift. 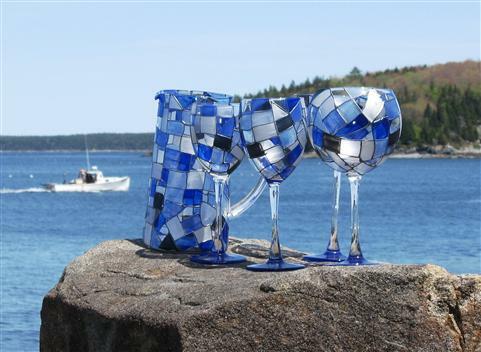 Shop Sea Glass Stemware here! Strolling the Shore Path at low tide, you glance down and see a piece of sea glass. You pick it up and put it in your pocket, the perfect souvenir from your vacation in Bar Harbor. Enjoy that memory every time you use this stemware. It’s called Sea Glass and is hand painted in Maine exclusively for Indigo Blues.